Bruno DURIEUX led a double career. An official career as an economist and a politician, but also a career of sculptor that he has never stopped, even when he was at his ministerial office. He first felt this vocation at the Ecole Polytechnique, where he had Lucien Fontanarosa as art teacher. Lucien Fontanarosa greatly encouraged him to enter the Beaux-Arts of Paris. He hesitated but finally didn’t proceed. He wanted to practice a professional activity that enabled him to lead freely his career of artist as he wished. After a few years dedicated to painting, he led and developed alone the work of steel. The discovery of the work of David Smith then the one of Julio Gonzales in the 70’s convinced him to carry on on this path. 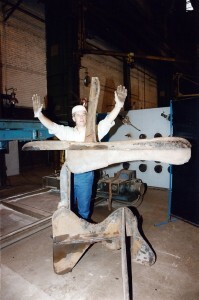 In London in the late 80’s, he met Anthony Caro and went to the “Triangle Workshop” –created by Caro in the state of New-York - for two years in a row. 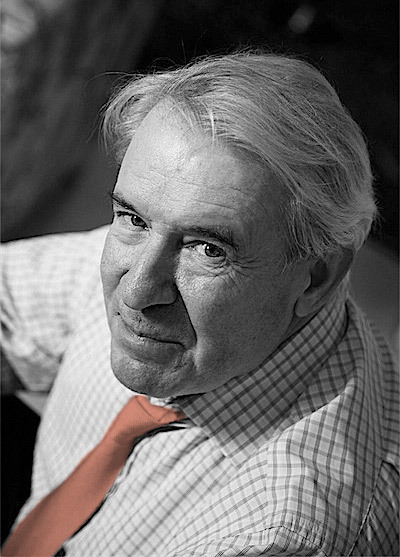 At the beginning of the 90’s, he met Albert Ferraud who opens his workshop to him. He worked there together with Jean-Pierre Rives. 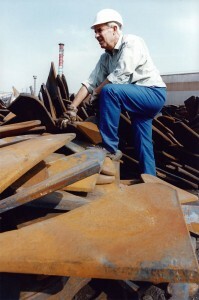 He also went on the sites of Arcelor in Florange, Eiffel in Nancy, DCN in Lorient, Areva in Pierrelate and DLM in Casablanca - Morocco - where he worked on voluminous and monumental pieces based on the offcut of steel stocked in scrap metal yards. After a long time set in Lorraine - the French motherland of steel - he moved his workshop to Grignan in Provence where he created, in David Smith’s manner, a genuine sculpture-garden. Two books have been published about his work – in 1994 and in 2008. But it is only recently that he decided to make his work known more broadly, with the support of the Arthème gallery and the publisher house Area.